Gareth Bale’s agent Jonathan Barnett has reportedly said yes to the player’s transfer to Manchester United in 2017. 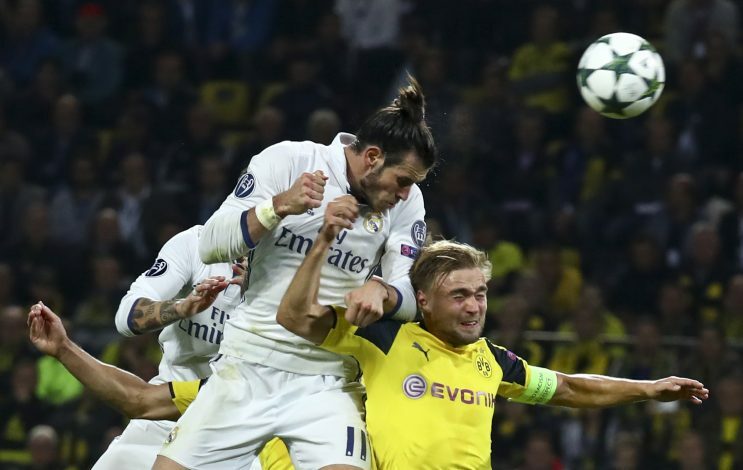 According to Spanish news outlet Diario Gol, Red Devils’ Chief executive Ed Woodward invited Barnett to Manchester last week, and the pair “agreed on incorporating Bale at United next summer”. The paper also says that Real Madrid manager Zinedine Zidane loves the Welshman, and wants to extend his current contract, which runs till 2019. However, United are determined to splash the cash to make the 27-year-old their new commercial part, in anticipation of the departure of Wayne Rooney. Bale has been regularly linked with a switch to the Theatre of Dreams for the past couple of years, but a transfer may require the club to break the world record for the second time, after signing Paul Pogba for around £89 million this summer. The paper has further claimed that Adidas will be ‘endorsing’ Bale’s move to Old Trafford, despite the sportswear giants being the shirt sponsors of both Real and United. Bale recently scored his 50th goal for Real Madrid in La Liga, as his side stumbled to a 1-1 draw against Eibar at home on Sunday. The draw takes Los Blancos to joint-top of the table with neighbours Atletico Madrid.